This 99 page book has beautiful illustrations that will attract children to the contents. Each prayer is skillfully presented but uncomplicated and charming. Prayers include everything from traditional to compilations from writers such as Francis Assisi, Ralph Waldo Emerson, and Robert Louis Stevenson. It includes scripture based prayers as well. There are prayer sections from thankfulness, mealtimes, bedtime, special days, family and friends. 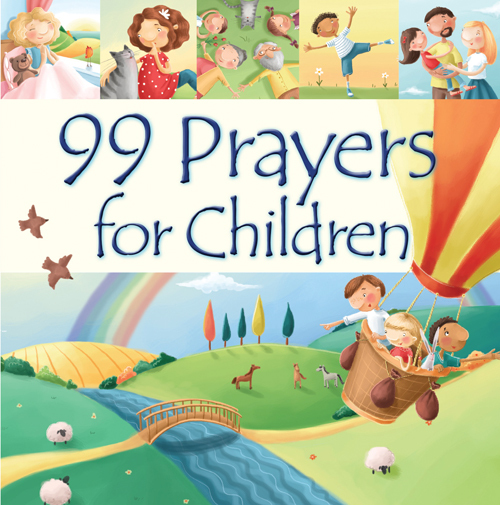 99 Prayers for Children would make a lovely gift. It’s wonderfully written and helps children to learn that prayer need not be complicated or wordy but rather that they can pray with simplistic honesty. I loved the book and find it to be a worthwhile investment for parents, grandparents and teachers. I received this book from Kregel Publications in exchange for my honest opinion which I’ve provided here.